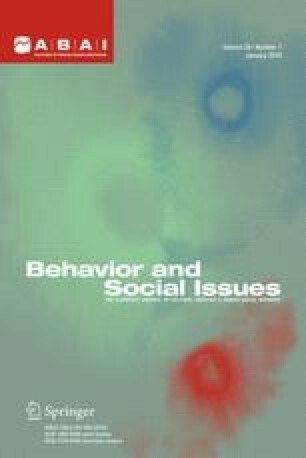 This is our third article in a series that began with a special issue of Behavior and Social Issues in 2006. Here we briefly review our central points from the first two articles. First is that over the past thirty-five years, claims of biological causation of mental and behavioral disorders have gone well beyond the research data, for reasons that are largely related to psychiatry’s lost esteem and protection of its “turf,” as well as to the financial interests of the pharmaceutical industry. Our second position is that claims of psychotropic drugs’ effectiveness have been overstated. We respond, as well, to the protestations of Professor Jerome C. Wakefield who defends biological psychiatry. We also provide an update on relevant events within the drug industry since our last article in this series. Berenson, A. (2006, December 17). Eli Lilly said to play down risk of top pill. The New York Times. Retrieved December 18, 2006, from https://doi.org/www.nytimes.com/2006/12/17/business/17drug.html. Ismail, M. A., & Bengtsson, H. (2007, April 1). Spending on lobbying thrives: Drug and health products industries invest $182 million to influence legislation. Center for Public Integrity Report. Retrieved April 13, 2007, from https://doi.org/www.publicintegrity.org/rx/report.aspx?aid=823. MindFreedom (2003, July 28, August 12, 22, September, 26). Fast for freedom in mental health. Retrieved December 22, 2003, from https://doi.org/www.mindfreedom.org/mindfreedom/hungerstrike1.stml. Pincock, S. (2006). Journal editor quits in conflict scandal. The Scientist. Retrieved August 30, 2006, from https://doi.org/www.thescientist.com. U. S. drug agency asks antidepressant makers to warn young adults of suicide risks. (2007). Associated Press. Retrieved May 2, 2007, from https://doi.org/www.foxnews.com/story/0,2933,269643,00.html.